In the conclusion of the 11-part Chesapeake & Ohio series, Allen Keller and Mike Burgett wrap up the series with a final discussion on model railroading. 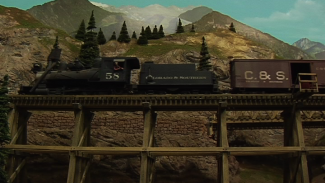 They begin by talking about the considerable amount of time Mike spends with trains. 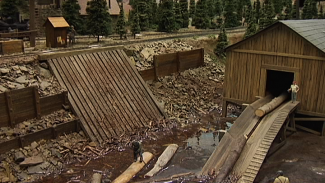 He works the typical 9 to 5 for a real railroad and then spends his free time with model railroads. Allen asks Mike what he does after a bad day on the real railroad, assuming he wouldn’t have any interest in model railroading after a day like that. Mike justifies that the two are totally different worlds and explains in further detail how modeling plays a major role in his happiness and relaxation. Mike’s network of many current and retired railroaders has influenced and enhanced his model railroading experience. His dedication to signaling systems has made his layout of the Chesapeake & Ohio unique. 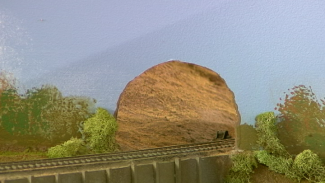 On top of that, he has committed many hours to research for the layout to make it as accurate as possible to the prototype. 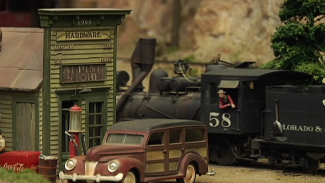 Not only does Mike model for his own personal Chesapeake & Ohio layout, but he shares his talents with others as well. He has designed and built signal systems and CTC machines for other modelers and hopefully he will inspire many others in the model railroading community with the help of this series.